LG Philippines continue to excite their followers on social media account with a series of photo teasers on V20. The device was announced early last month and the expected availability or release is this October, this one of a kind smartphone will be soon hit on LG stores, online, local Telco’s and gadget stores nearest you. 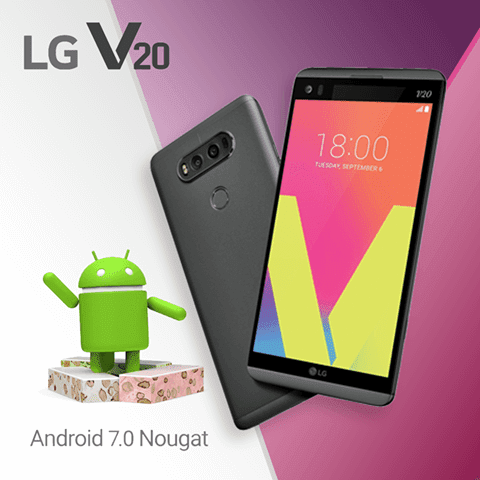 What makes us excited on LG V20 are the features and capabilities of this smartphone, it runs on Android 7.0 Nougat out of the box with Quad core Snapdragon 820 processors. The camera also features a dual lens system with 16-megapixels and can switch to wide angle shot under 8-megapixels option. There are lots of features expected on the new LG V20 aside from the above mentioned, the premium metal design, Hi-Fi audio quality, wider screen display, removable battery and more. You can check its specifications below to know more about this latest LG flagship phone. For the price of LG V20 price, we’ll update this post as soon LG Philippines announce the official price of the device. We are also waiting for our local Telco's to offer this device and under there postpaid plan pricing.